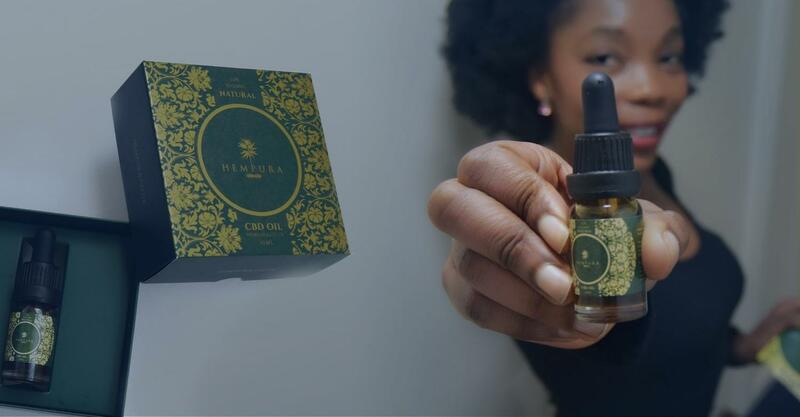 The CBD market is now flooded with brands selling their version of CBD oils, which is supposedly always “the best.” This gives consumers a difficult choice in choosing which brand they want to buy from. Currently, the CBD market in the UK is unregulated. Cannabis-derived products are not overseen by any governing body, and therefore there is no official market standard. Unfortunately, this gives bad manufacturers the opportunity to sell scam products under the guise of quality. But as more people become clued up on CBD, it’s harder for these brands to get their products far. People will catch on all too quickly! With third-party review sites dominating the internet, it’s easy to spot the good brands from the bad. 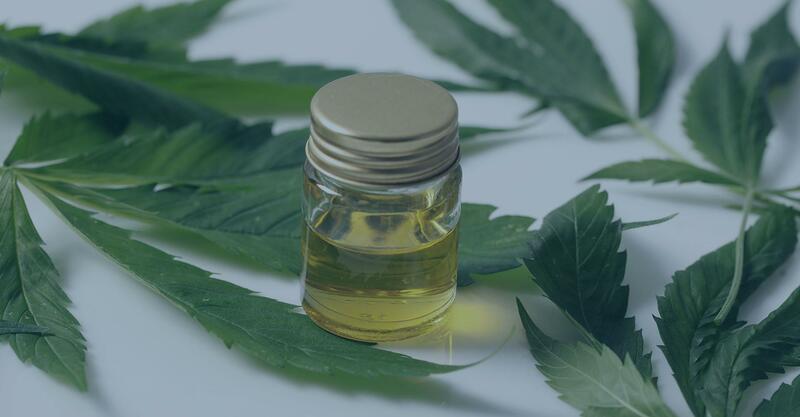 Furthermore, there are general guidelines that people are aware of when buying CBD, and following these will ensure that you are buying a safe and high-quality oil. In today’s CBD review, we will be checking out the company Bluebird Botanicals. What are their products like? Do they make the grade? Let’s find out. Bluebird Botanicals was founded in 2012 in the United States. Unfortunately, this means that their products are unavailable in the United Kingdom and the European Union in general. As most of Bluebird’s products contain THC, they are illegal for sale in the UK. However, they do have a THC-free option which can be purchased wholesale through another company, Cannawell. 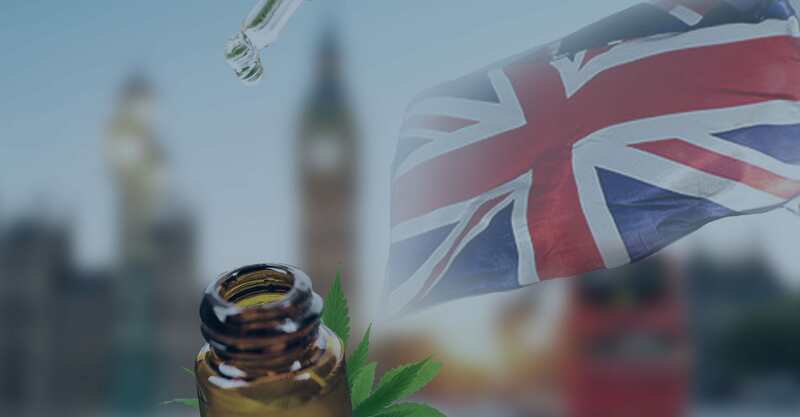 The fact that their CBD products are not available in Great Britain aside, Bluebird Botanicals appears to be a great company. At the 2016 Cannabist Awards, Bluebird were given the title of #1 Hemp CBD Company of the Year. This is quite an achievement in such a saturated market! It’s clear to see what earnt them this award, though. Being around since 2012 gives them a major leg-up, as it means they were there at the beginning of the CBD industry. They have a lot of experience in the field. With this in mind, it’s obvious that they would have third-party lab reports. The Bluebird Botanicals website has a tab available where the lab reports for each individual batch is available to view – the quality is 100% guaranteed. Bluebird is very upfront about their involvement in the community. First off, they have several Assistance programmes. Individuals who fall under the federal poverty level can receive a discount if they provide a document from a government agency proving receipt of low-income benefits. Veterans and individuals with a long-term disability are also eligible for this discount. Furthermore, Bluebird donates to several non-profit organisations, including the American Cancer Society, the Global Fund For Women, the Colorado Coalition for the Homeless, and more. You can see the full list of charities on their website. Right from the get-go, it’s clear that Bluebird Botanicals are a professional and caring company. Their ethos is clear-cut and suggests a reputable brand, but what are their products actually like? 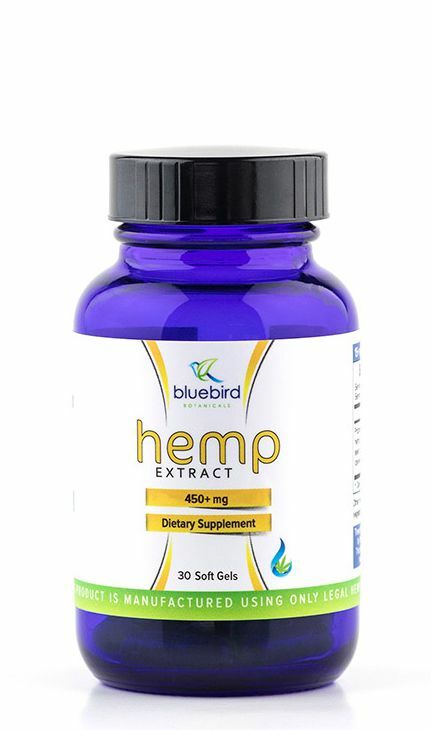 Bluebird sells a number of different CBD products, all categorised clearly on the website. Whatever you want, you can find it very easily! Below are a description and review of each product available. The products have 20% off your first retail order, and Bluebird also provides a 30-day money back guarantee. There are three different types of Bluebird Botanicals CBD Oil, all of which differ only slightly. All oils are non-GMO, gluten-free, sweetener-free, and vegan. First, there is the Hemp Extract Oil. This is a full-spectrum oil containing over 80 phytocannabinoids as well as amino acids, vitamins, omega fatty acids, and trace minerals. The hemp extract is suspended in organic hemp seed oil from hemp from in Canada. There are three options of this oil, all with a huge number of sizing options available. Depending on the size you choose, the price will increase. 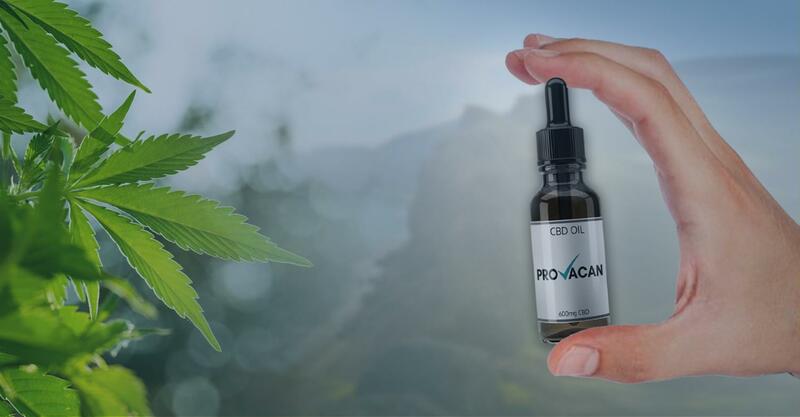 Below, we have listed the qualities of each CBD oil, as well as the lowest and highest price you can expect between the 0.33oz and 8oz bottles. The bottles also contain a different amount of CBD depending on the size of the bottle, which will also be indicated. Hemp Extract Oil Classic: This classic CBD oil doesn’t have any of the bells and whistles. Plain old CBD oil, simple as that. Ranges in price from $9.95 for 83.3mg of cannabinoids, up to $139.95 for 2000+ mg.
Hemp Extract Complete: On top of the CBD, this bottle contains CBDa in a 50/50 split. Then, in addition to the full-spectrum CBDa and CBD extract, steam-distilled hemp terpenes are added to the mix. The 83.3 mg version will cost you $11.95, up to the 2000+ mg version costing you $159.95. Hemp Extract Signature: This option includes a full-spectrum extract of hemp along with cold-pressed black cumin seed oil and frankincense extract. Not only does this add a new flavour to the oils, but it also adds additional health benefits. For 83.3 mg of cannabinoids, you can expect to pay $11.95, while the 8oz bottle contain 2000+ mg costs $159.95. Hemp Extract Sample Pack: The sample pack contains one 0.33oz bottle in each of the above varieties. It will cost you just $24.95 and allow you to sample which oil you prefer. The second option from Bluebird Botanicals is the Concentrated CBD Oil. While the Hemp Extract Oils contain 250mg of cannabinoids per fluid ounce, these options all contain 1500 mg per fluid ounce – in other words, they have 6x the original concentration. This is the ideal option for initiated CBD users who are looking for something stronger. Hemp Classic 6X: The smallest, 0.33oz bottle contains around 500 cannabinoids and will cost you $44.95. The largest, measuring 8 fluid ounces, contains around 12,000 mg of cannabinoids and will set you back $599.95. Hemp Complete 6X: This option varies in price between $49.95 and $649.95 depending on the bottle size. Hemp Signature 6X: This variety costs between $49.95 and $649.95. The final option from Bluebird Botanicals is the THC-Free CBD Oil. This is similar to the others, but it contains non-detectable levels of THC. Instead of hemp seed oil, the isolated CBD extract is instead suspending in a coconut (MCT) oil. 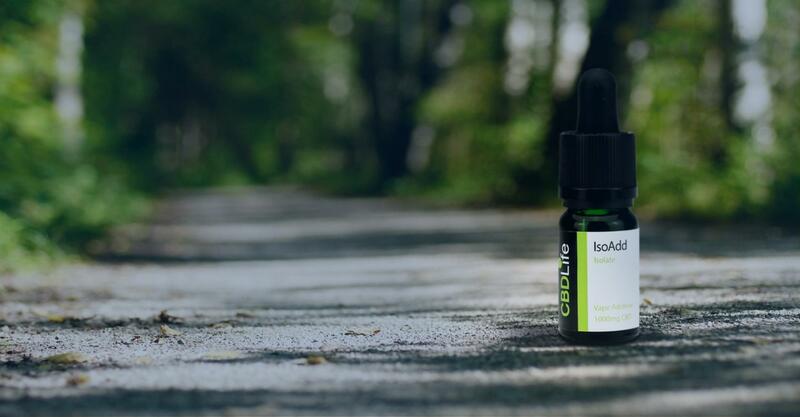 For individuals worried about THC levels, this CBD isolate is ideal. Bluebird recommends using it alongside their full-spectrum products. This option comes in the same bottle sizes (0.33-8oz) and costs between $39.95 and $539.95. Bluebird sell one capsule variety. The Concentrated CBD Capsules allow a taste-free CBD experience despite the full-spectrum extract used. The CBD in these capsules is the same as their Classic variety oils, meaning it contains simply a full-spectrum hemp extract and cold-pressed hemp seed oil. Each capsule contains 15 mg of CBD for easy dosage. Note, however, that these soft gels are NOT vegan-friendly. Vaping CBD is pretty popular nowadays, so it’s logical that Bluebird sells a vaping option. Usually, brands sell a number of flavours and varieties, but Bluebird only stock one flavour of their CBD Vape Oil. Containing CBD isolate, these e-liquids contain a 70/30 ratio of PG/VG. It is unflavoured, and Bluebird say that it can be mixed with your regular, flavoured vape juice. While this bottle doesn’t contain nicotine, adding it to your normal vape liquid will ensure that nicotine is still used. This can be a positive or negative depending on whether you are trying to quit nicotine or not! If CBD oils aren’t your thing, Bluebird has you covered. Their CBD Isolate contains between 96% and 99.9% pure CBD. Coming in a small tub of powder, you can dab this isolate or even take it sublingually. The product costs between $24.95 for one gram and $449.95 for 25g. Alternatively, you can buy the Bulk CBD Isolate, which will set you back a decent bit more! 100g costs $1,400, while 1kg costs an insane $10,000! We’re honestly not sure who can drop this amount of money for a bucket of CBD isolate! As more and more pet owners are giving their pooch a dose of CBD, it’s only a matter of time before all companies jump on the bandwagon. As part of their ‘Companion’ range, Bluebird Botanicals sell capsules and oils for your furry friend. The Companion Oils are explicitly “Not for human consumption”. To be honest, we can’t see why this is the case considering that the oil contains two ingredients: Hemp oil extract and hemp seed oil. Yep, that’s the same as their other CBD oils! 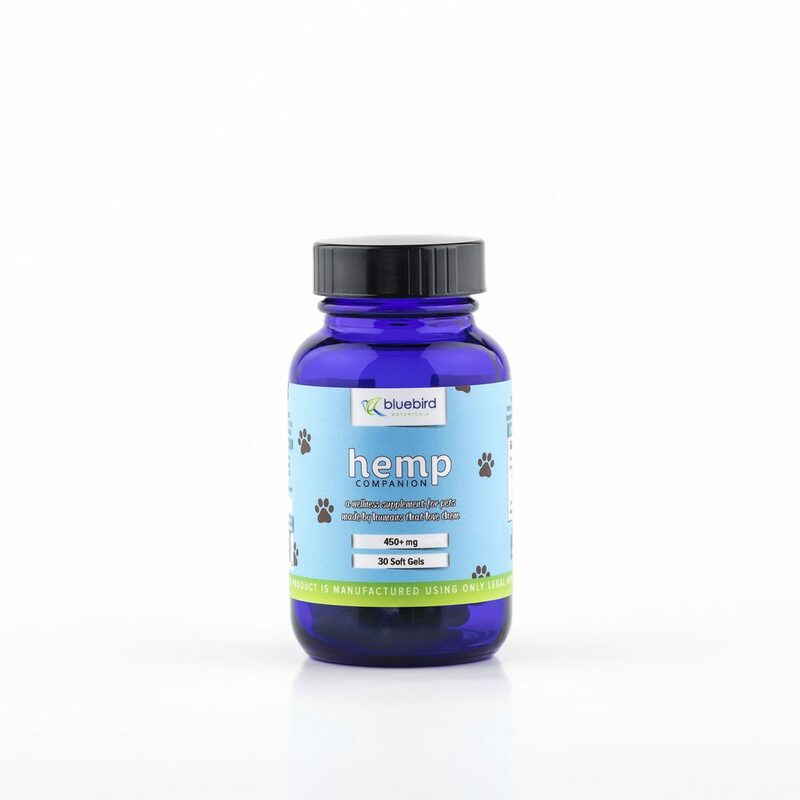 Of course, the doggy version has a lower amount of cannabinoids, ensuring that it is pet-safe. This oil costs between $9.95 for 0.33 fluid ounces and $139.95 for 8oz. They also sell the Companion Capsules, containing 5mg per capsule. Designed for your dog, you can be sure that this dose is safe. However, it might be hard to keep your pet from spitting out the pill! A 60-count tub costs $24.95, while a 120-count tub costs $48.95. If you have a significantly larger pet, 15mg per capsule could be more appropriate. For that, Bluebird sells the Concentrated Companion Capsules containing precisely that amount. A mainstay in the CBD industry, it’s clear that Bluebird Botanicals know what they’re doing. You know you can trust this company. The website and everything about the company is very professional. Offering discounts for those in need is a good way to show they care about the community. They also donate to non-profit organisations! 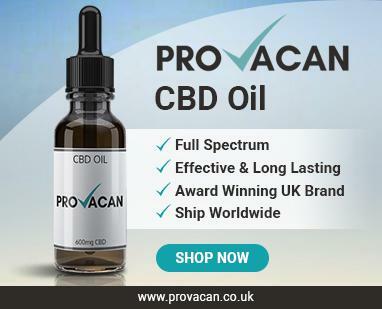 There is a huge range of CBD products available, simply down to the number of different bottle sizes. Quality is assured with a money-back guarantee. As you’ll probably have noticed, the price is sky high. Bluebird assert that their prices are fair based on quality, but we promise you that you can find high-quality CBD for a much lower price. While the range of CBD oils is big, there is not much room when it comes to vape liquids and capsules. They, of course, don’t ship to the UK. At first glance, it’s easy to get excited about Bluebird Botanicals. A company with a strong, kind ethos and a professional image – finally, a company I want to buy from! But then you see the price tag and it all goes downhill a bit. The prices for these products are, quite frankly, extortionate. Reviews for Bluebird are extremely positive, and those that can afford these products praise them highly. If you have the money, then paying for these may not be such a bad idea. However, it is the case that most of us just don’t have the money required for these products.